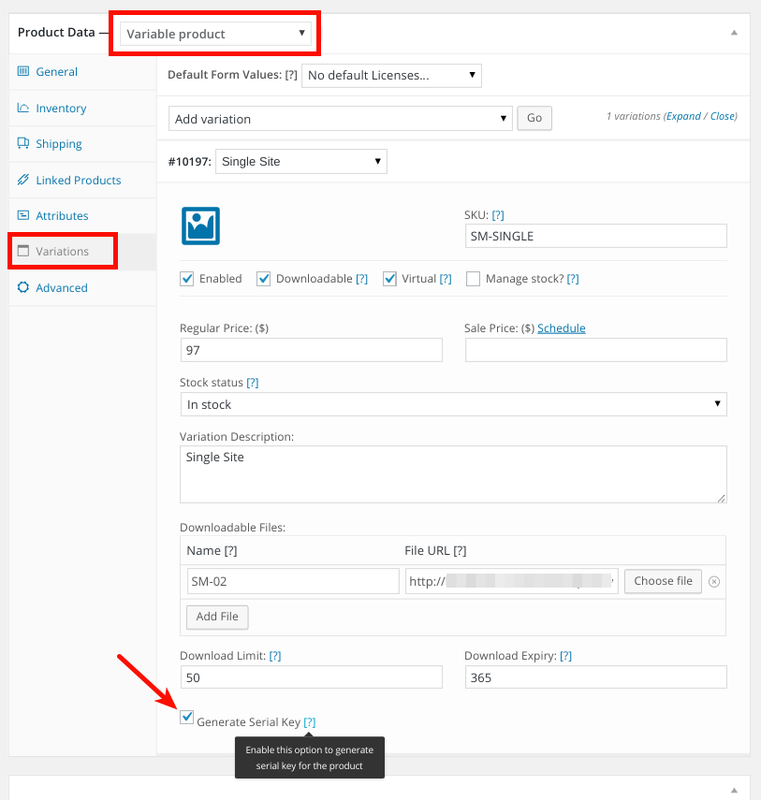 For Variable Product, you’ll find this checkbox under each Variations. Remember that this checkbox will only be visible if Downloadable checkbox is checked. Save the changes. That’s it! 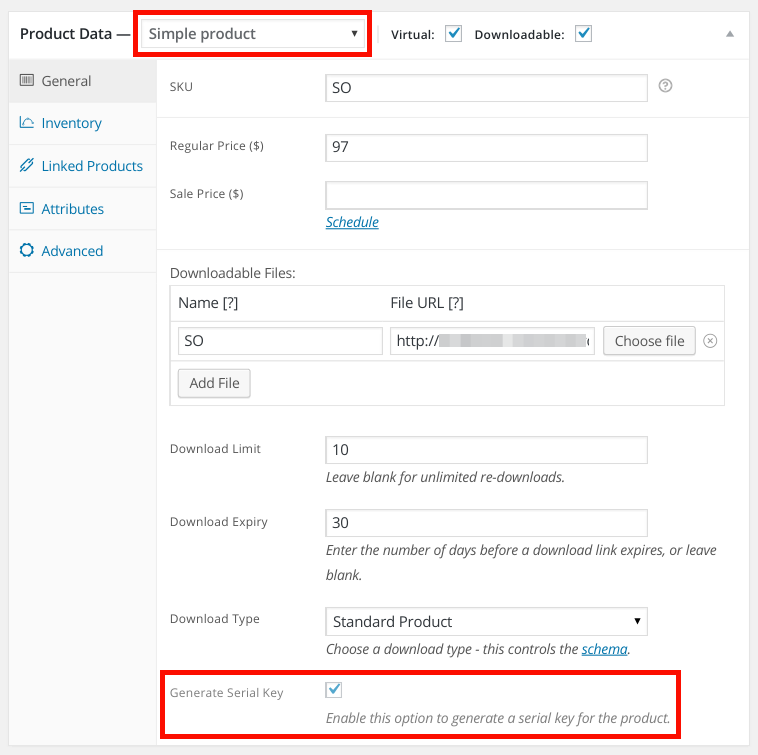 Further process will automatically be handled by WooCommerce Serial Key plugin. 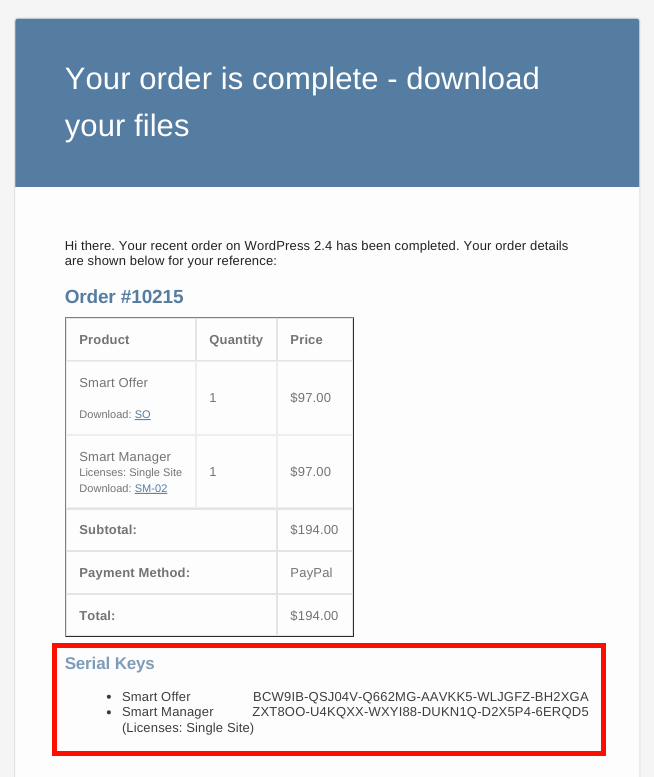 Generated serial key will be send to customer in ‘Order completed’ email.